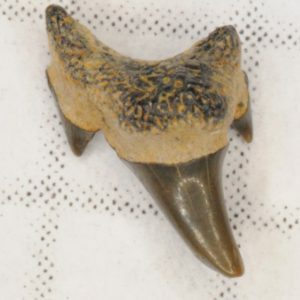 These teeth are similar to the other two mackerel sharks’ teeth. 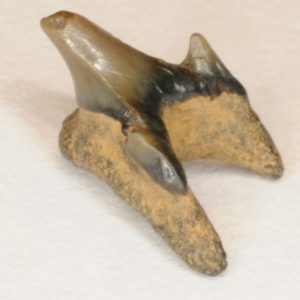 The difference is that these teeth are significantly smaller and have exaggerated features. 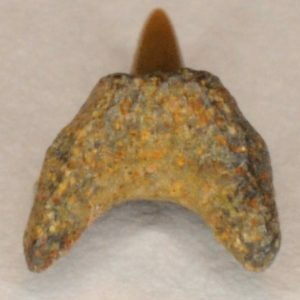 Their lingual protuberances stick out more than on any other species. 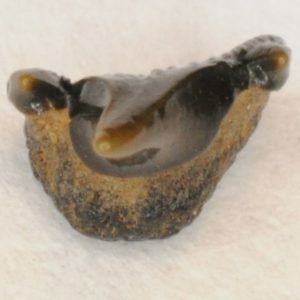 The root is large in comparison to the crown. 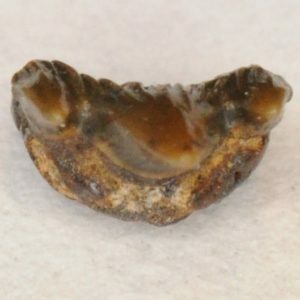 They also possess strong wrinkles on the labial side and sometimes on the lingual side of the crown when unworn. 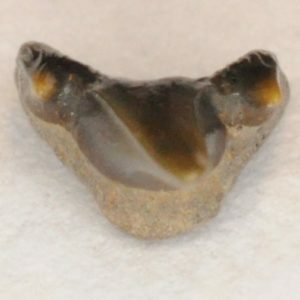 Another feature is that they have a slight flattening of the crown towards the tip. 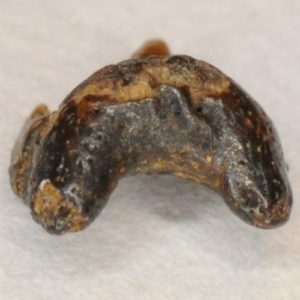 These teeth are very prone to breakage and usually have in-vivo wear, a broken root, or a worn down lingual protuberance. 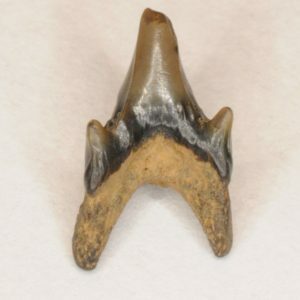 This tooth is a lower first anterior P. borodini. 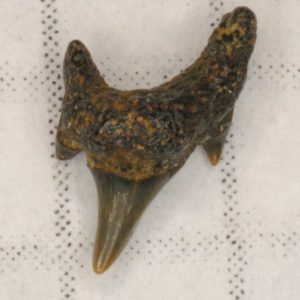 It has long root lobes, a large lingual protuberance, and no curvature in its crown. 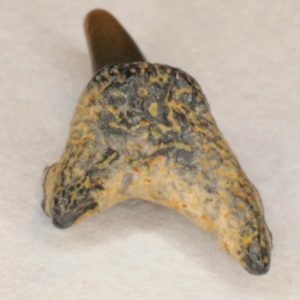 This tooth is a lower anterior. 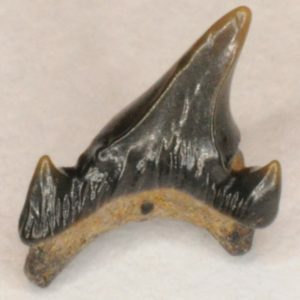 Note the symmetrical shape and straight crown. 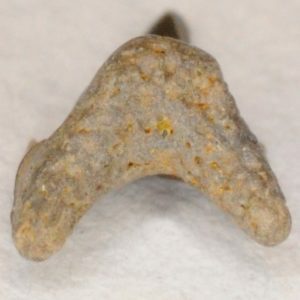 However, it is not a lower first anterior because its lingual protuberance does not jut out much. 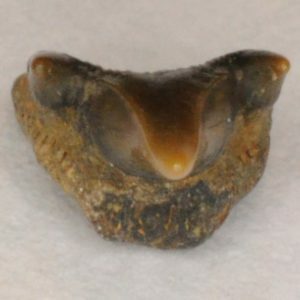 This tooth is an upper anterior. 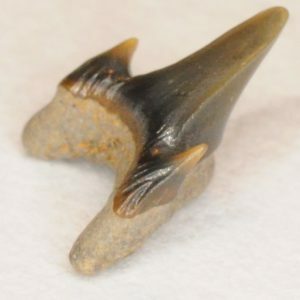 Upper anterior P. borodini teeth are more distally curved than the lowers. 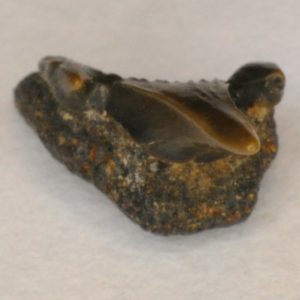 Lateral teeth are relatively wider when compared to anterior teeth. 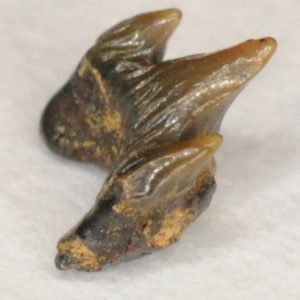 This tooth is an upper lateral. 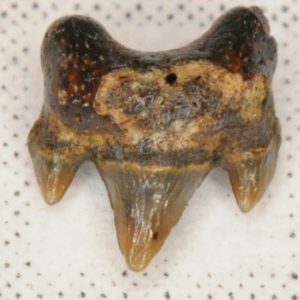 It has some slight wrinkles at the base of the lingual side of its crown, which is unusual (usually these teeth only have these folds on the labial face of the crown). 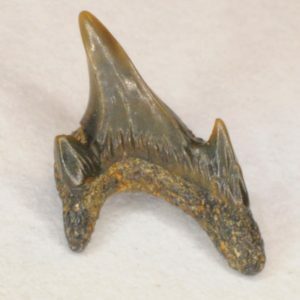 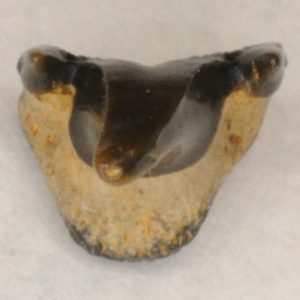 This tooth is another upper lateral. 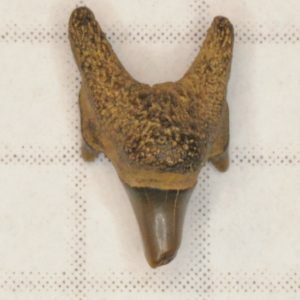 It has a small bump near the base of the mesial carina; this bump almost looks pathological, but it is probably not exaggerated enough to be called that. 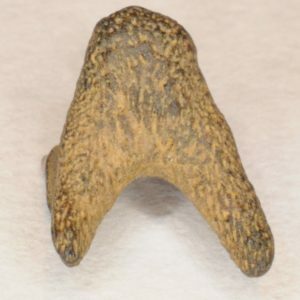 This tooth is a lower lateral. 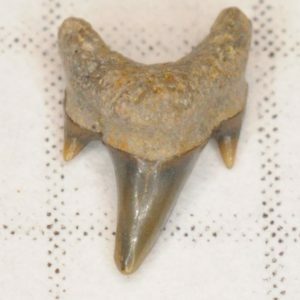 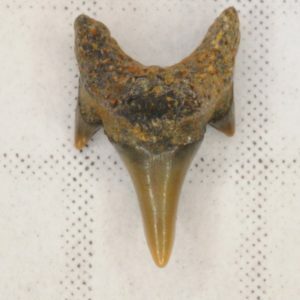 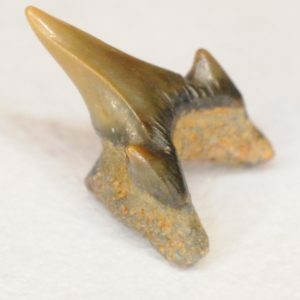 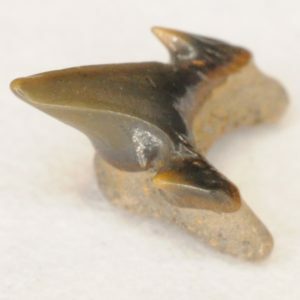 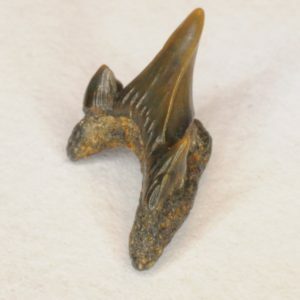 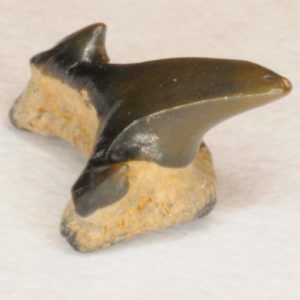 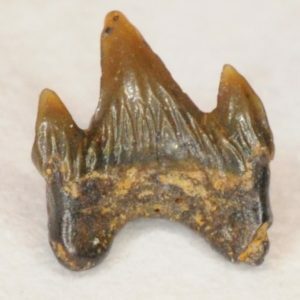 It has the asymmetrical shape of lateral teeth, but is less angled. 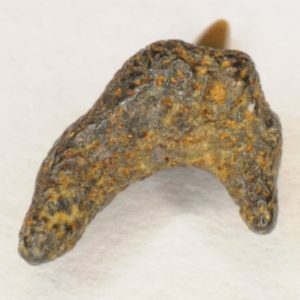 Notice that its lingual protuberance is fairly exaggerated; this should help differentiate between lower laterals and upper anteriors, which have a more reduced lingual protuberance. 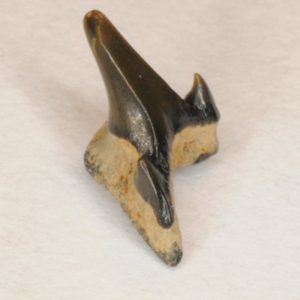 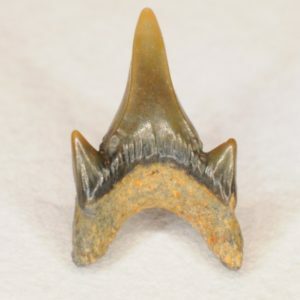 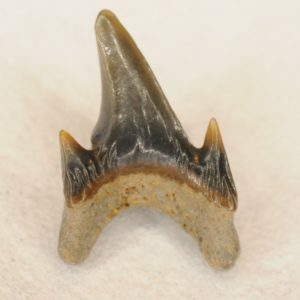 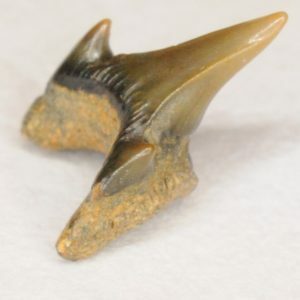 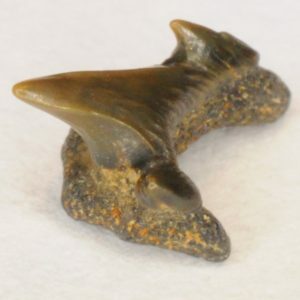 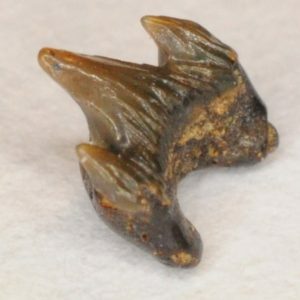 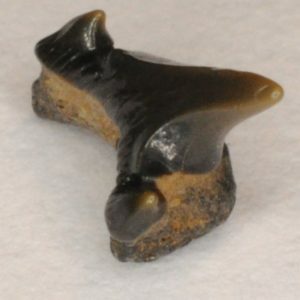 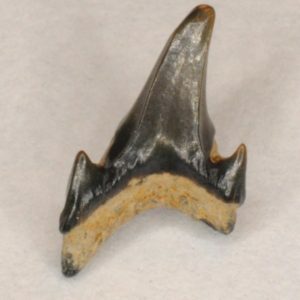 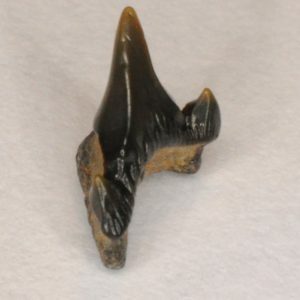 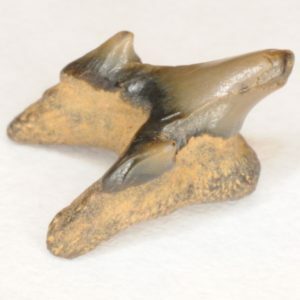 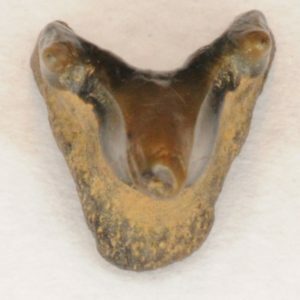 This tooth is another lower lateral. 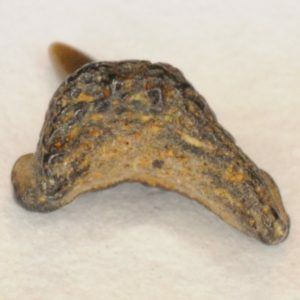 This tooth is a lower lateral tooth that would have been situated closer to the posterior tooth files. 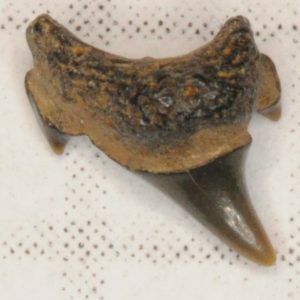 This posterior tooth (most likely a lower) possesses strong folds on the main crown and cusplets on both the labial and lingual sides.